The Presidio District Experience: A Food Heritage & History Tour. We all know Tucson has one of the richest food histories around the country. But have you truly experienced it? On this tour, you can get in deep with the City of Gastronomy and learn about the old and new ingredients that make Tucson’s food what it is today. It’s a history lesson and a meal all in one! Hosted by the Presidio San Agustín del Tucson. 12:30 to 4:30 p.m. Wednesday, Jan. 23. 196 N. Court Ave., corner of Court Avenue and Washington Street. $75. Details here. Reflections About Bears Ears: An Evening in Honor of Karen Strom. 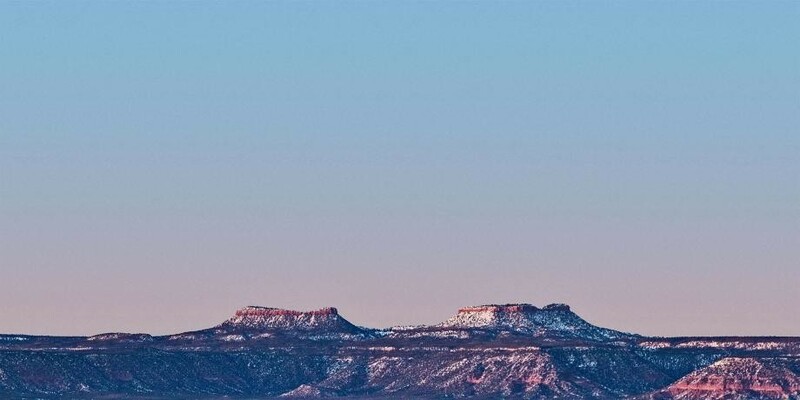 In 2015 and 2016, the Bears Ears Inter-Tribal Coalition in southern Utah advocated for the establishment of Bears Ears National Monument, and in 2017, it already had to respond to a downsizing of the monument. At this event, Keynote speaker Carleton Bowekaty, member of both the coalition and the Pueblo of Zuni Tribal Council, will speak. Also on the lineup is astronomer and photographer Stephen Strom, who made a recent gift of Native American art to the Arizona State Museum in memory of his late wife. He’ll be talking about his project documenting Bears Ears, and will be signing copies of his new books, Bears Ears: Views from a Sacred Land and Voices from Bears Ears (which he wrote with Rebecca Robinson). 7 p.m. Wednesday, Jan. 23. Center for English as a Second Language, 1100 James E. Rogers Way, room 103. Reception and book signing to follow program. Free. Details here. School of Art’s Letterpress Lab. You probably didn’t know that the UA has a letterpress lab, just like you probably didn’t know how many different kinds of printing methods and practices there are in this great big world: letterpress printing, experimental printing, paper techniques, binding and a booker. And in terms of the technology: board shears, paper cutters, book presses, guillotines, wire-o-binder, a laser cutter, a photopolymer plate maker and an industrial sewing machine. The School of Art’s Letterpress lab has it all! Go check it out at this special tour. 10 to 11:30 a.m. Wednesday, Jan. 23. School of Art Graduate Studios, 1231 N. Fremont Ave. Free, but reservations required. Details here. Events compiled by Briannon Wilfong, Emily Dieckman, B.S. Eliot and Jeff Gardner.